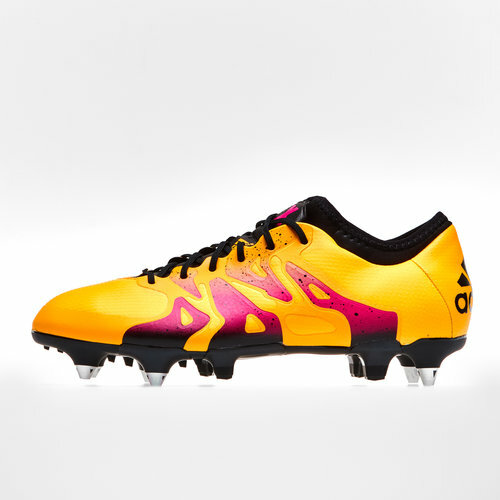 Shine on the pitch and show your worth in these adidas X 15.1 SG Leather Men&apos;s Football Boots. Constructed from premium K-leather you get sublime comfort and an authentic, natural feel. Cause chaos with the Non-Stop Grip (NSG) texture on the upper offering total ball control, while the X-CAGE in the midfoot gives extra stability and the X-CLAW stud pattern provides blistering acceleration and unpredictable moves. Perfect on soft ground. Drawstring carry bag and replacement studs included.